Don’t forget to use the “Interactive Map Search” above! 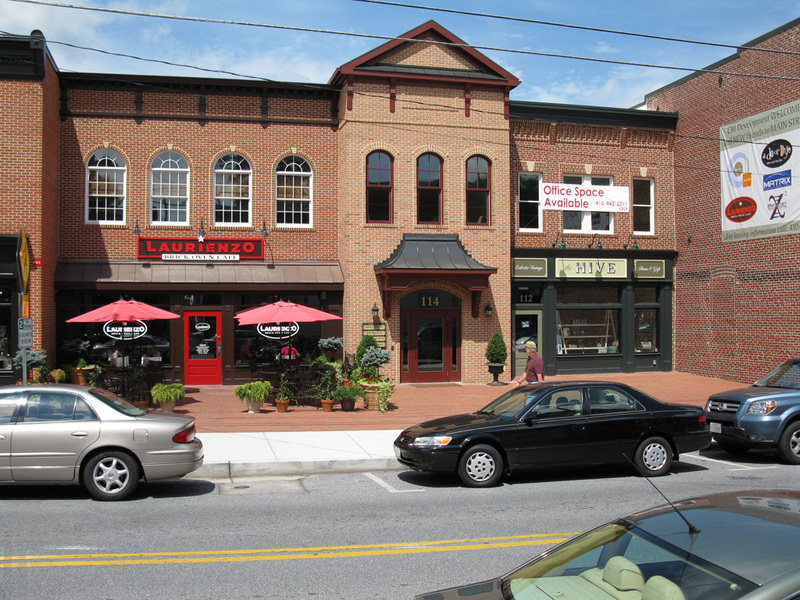 The historic town of Mount Airy is located in the western part of Howard County and is often called the “Four-County Area,” as it spans portions of Frederick, Carroll, Montgomery and Howard counties. Mount Airy holds the charm of a rural area along with a lovely and quaint historic town. Mount Airy is conveniently located close to Interstate 70 and Maryland Route 144, providing easy access to major thoroughfares and conveniences. Mount Airy became a significant residential and commercial area as the B&O Railroad continued to expand westward. It was named Mount Airy because of its topography of hills. Turn Key ready! One level living and ALL major ticket items replaced (roof, heat pump,more) recently with top of the line appl in kit. 3BR's 3 FULL baths! Huge bsmt-deck off huge kit, backs to woods! new roof, woodstove in bsmt, large garage, storage galore! profes landscaped, newer baths, top to bottom gorgeous! Rare to find this rancher home in cul de sac and still have room to feel like you are away from the hustle and bustle but can walk to shops and get those steps in! So much room in this home & 4th possible den or workout rm ready fin. new paint on main level. -Call Deb with ?? NO HOA FEE! Welcome to the Manor House, one of the original model homes in 1993 when The Paddocks made its debut! This exceptional colonial offers an inviting front porch, 4 BD/3.5 BA w/custom molding throughout the main level, stunning walnut floors throughout the main level, an abundance of windows brings in natural light in every direction, spacious office, kitchen w/double ovens, gas cooktop, & SS appliances, formal dining room w/custom corner built-ins, spacious sun room, family room w/impressive stone fireplace & skylights. New carpet upstairs, top floor laundry room w/cabinets and sink, spacious bedrooms, and a beautiful master suite. The fully finished basement is ready for entertaining w/a TV/movie room, bonus room, & wet bar. This home has been freshly painted throughout. Outside enjoy a screened porch, fenced portion of back yard w/playset while backing to privacy & woods all on a 2 acre lot in this highly desired neighborhood! This is a must see! This STUNNING, meticulously maintained Colonial on just over an acre in sought after West Oak Fields neighborhood and school district, shows beautifully. You'll be blown away by the attention to detail and pride of ownership in this impeccable home. Gourmet kitchen boasts all SS top of the line appliances (including Samsung and Bosch) and opens to cozy family room with brick, natural gas fireplace. You'll be delighted with the custom crown moldings on main level, and designer custom window treatments throughout the entire home. Washer/dryer are on lower level in utility room and there is also washer/dryer hook up in main level mud room for convenience. Grounds are professionally landscaped, and oversized detached garage is prepped for heating and plumbing to be installed. Radon remediation system also conveys. This gorgeous home is being sold furnished or unfurnished. Sellers prefer rent back through July if possible. This is a must see! Highly sought after and rarely available Twin Ridge home located on private cul-de-sac! Meticulously maintained brick front colonial. This home shows brilliantly with gleaming hardwood floors throughout the main level; sunken, two-story family room with wood-burning fireplace; granite counters & stainless-steel appliances in the kitchen. Master suite offers spacious bedroom, walk-in closet, oversized soaker tub and separate shower. Spacious, finished lower level provides wet bar, game room and theater area ~ perfect for entertaining! Continue entertaining on the large deck overlooking the expansive back yard. Welcome home!